Local government in South Africa is responsible for the delivery of a number of important basic services including water, sanitation, electricity, and solid waste management. However, in many parts the country, poor communities do not have adequate access to these basic services — an issue that many civil society organizations (CSOs) are working to address. 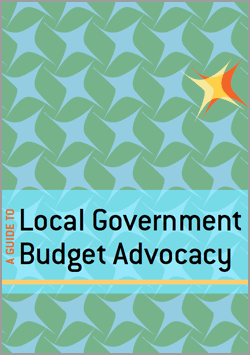 These groups are becoming more aware of the importance of the budget for addressing service delivery issues, and this guide addresses their increasing need to be able to understand and engage with local government budgets. While issue specific budget analysis can be a powerful tool to support any advocacy campaign for improved service delivery, reading, understanding, and analyzing government budgets, and local government budgets in particular, can be challenging. This guide describes a step-by-step approach to reading and analyzing local government budgets with a focus on a specific service delivery issues. It also includes information on how CSOs might use their analysis findings to advocate for better service delivery. Content and cases presented in the guide draw on the experiences of a number of CSOs involved in budget work around South Africa including the Social Justice Coalition and partners in the Accounting for Basic Services Project (Planact, Built Environment Support Group, Afesis-corplan, the Heinrich Boell Foundation and Isandla Institute), an initiative supported by the European Union.